When new friends Lupe, Flapjack, and Elirio are each bullied by Las Matamoscas, they know they’re going to like one another. When they find out they all love lowrider cars, they know they’ll be friends for life. But the bullies won’t leave the Lowriders alone—and they don’t let any girls or babies into car clubs. Can these three determined outcasts prove they deserve to be in the car show? 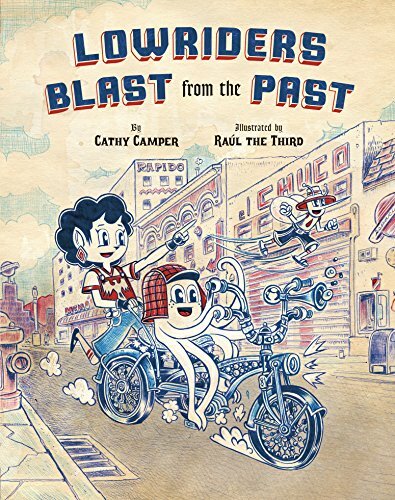 Humor, Spanish words, and lowrider culture come together in this heartwarming graphic novel of three friends navigating the bumpy terrain of friendship, bullying, and standing up for what you believe in. ¡Vámonos!